Oh hello, folks. It feels like it’s been ages since I last talked about books that wasn’t what my customers bought. I haven’t been in a reading mood, outside of fanfiction (LOL), but I did start (or forever reading) some Young Adult books! Currently Reading will act as my check-in, letting you guys know what I’m forever reading at the moment, and what I’m enjoying about it. I’m not gonna discuss books that are on my priority October TBR list. Instead, I’m gonna talk about the books I picked up on a whim this month. 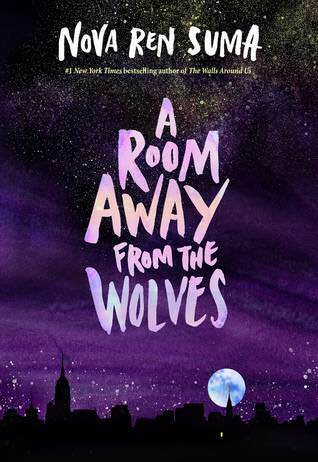 Why did I want to read A Room Away from the Wolves? I see “magical” in a synopsis, and my interest in a book shoots 110%. It gives me gothic vibes, especially with this women’s residence that is full of history—maybe good and definitely bad. I want to see what secrets the Catherine House holds. What do I like about it so far? I may not know what the heck is going on, but it does exude that gothic creepiness that I looooove reading in book. I gotta know why these young women are at this House, and why Bina’s mother never wanted Bina to go there. Lots of mysteries I want to uncover. 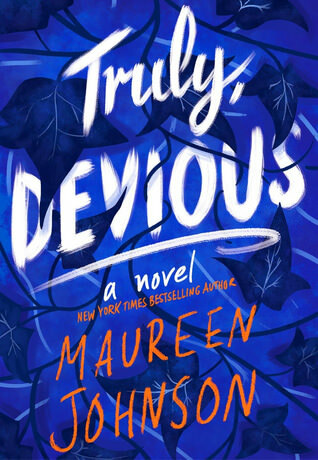 Why did I want to read Truly Devious? Truly Devious has things I love reading in books: private schools, True Crime, and early twentieth century. When you give me all three, I’m immediately on this train. I thought the story was intriguing; who isn’t fascinated by unsolved crimes? What do I like about it so far? I love how mysterious it is. Maureen Johnson does a beautiful job setting us in this book where you feel this gloom as you read. I just want to learn more about this Truly Devious character and what made Ellingham Academy dangerous. CURRENTLY READING • Lady Killers, Monstrous Creatures, & Magicians! 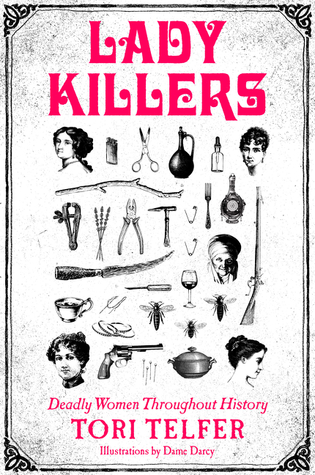 Inspired by author Tori Telfer’s Jezebel column “Lady Killers,” this thrilling and entertaining compendium investigates female serial killers and their crimes through the ages. Each chapter explores the crimes and history of a different subject and then proceeds to unpack her legacy and her portrayal in the media, as well as the stereotypes and sexist clichés that inevitably surround her. The first book to examine female serial killers through a feminist lens with a witty and dryly humorous tone, Lady Killers dismisses easy explanations (she was hormonal, she did it for love, a man made her do it) and tired tropes (she was a femme fatale, a black widow, a witch), delving into the complex reality of female aggression and predation. Featuring 14 illustrations from Dame Darcy, Lady Killers is a bloodcurdling, insightful, and irresistible journey into the heart of darkness. Why did I want to read Lady Killers? I hear a lot about male serial killers, but what about the women? There surely plenty out there that I don’t know about, but I don’t hear a lot about it. I’m fascinated by I want to see what these women have in common—how they kill and their reasoning. What do I like about it so far? I love how it explores different female serial killers, and how they killed their victims (usually with poison). I like seeing how Tori Telfer unpacks the history and explains what could be behind the thinking of these ladies, instead of chalking it up to tired cliches. They were two of the most talented beauties Hollywood ever produced: the elegant Joan Crawford, a former chorus girl who shot through the ranks at MGM, and the brash, tempestuous Bette Davis, a Broadway star notorious for refusing to bow to the studio bosses. Their work together in the hit film Whatever Happened to Baby Jane? sowed the seeds for a mutual hatred that would consume their lives. As each fading star tried to outshine the other, lives were upended and reputations were destroyed. Glamorous, merciless, and cruel, their feud became the stuff of legends. Based on interviews the author conducted with both actresses and more than a decade of research, Bette & Joan shows the hard-drinking, hard-fighting duo at their best and worst. 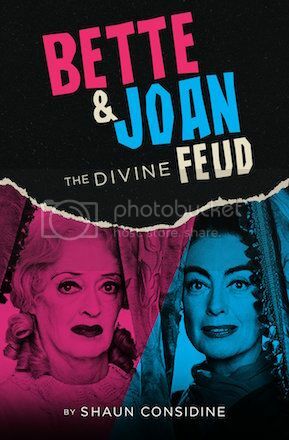 The epic story of these dueling divas is hilarious, monstrous, tragic, and the inspiration for the Ryan Murphy TV series Feud starring Susan Sarandon and Jessica Lange. Now updated with two new chapters and a sixteen-page photo insert. Why did I want to read Bette & Joan? It certainly wasn’t because of Ryan Murphy’s TV show about the pair. (No sarcasm.) What’s not to be interested in Old Hollywood feuds? I had always been fascinated by Bette and Joan’s relationship. These divas have been butting heads for decades, and I wanted to know more details about their feud. What do I like about it so far? Wow, their lives were so fascinating. So many tragedies and affairs and jealousy and whatnot. That’s Old Hollywood for ya. As I read this book, I was honestly more interested in learning more about Bette, even though Joan had more exciting stuff happening to her. CURRENTLY READING • Three Dark Crowns & Where Am I Now? 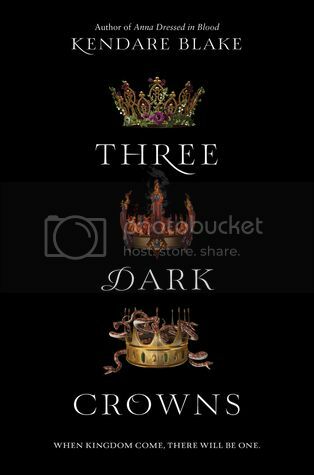 Why did I want to read Three Dark Crowns? When I read that Three Dark Crowns was about three triplets—all queens in their rights—I thought about the daughters of Shakespeare’s King Lear and this beautiful image of three ladies from Dinara Mirtalipova. Since then, I can’t stop thinking about these two things. I like reading stories about sisters, and you had a fantastical element with a power struggle? I’d want to experience the unexpectedness and weirdness. What do I like about it so far? That I don’t know how to feel about it? I just started the book, but it really throws me into what’s happening, not giving you a clue what I’ve stepped into. I imagine I will get to know all these characters as I keep reading. But you guys, one queen ingesting poison? Another being able to bloom flowers? Another being able to control the elementals? I hope the ??? I feel about the book turns into a definite opinion of like. Why did I want to read Iron Cast? This book has things I love reading about: Prohibition era, magic, and cons! I’m excited to see what kind of things Corinne and Ada finds out about the world they’re in. What do I like about it so far? The friendship! I am livinnnnnnng for Ada and Corinne’s friendship. This is what I love seeing in books—friends supporting and having each other’s back despite arguments and danger. 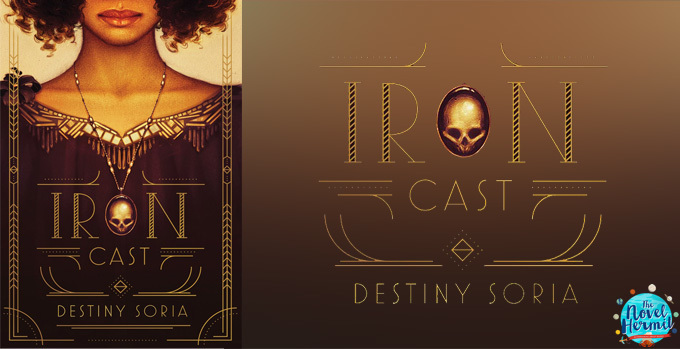 When I started reading Iron Cast, I was surprised (and pleased) about these characters and the Cast Iron people; it was totally unexpected and I needed to learn more.